The MA pathway in Twentieth Century and Contemporary Literature will enable you to explore the complex cultural histories of literatures in English from the twentieth century to the present, and offers advanced training in the practice of close textual study, history and theory. Individual modules trace the paradoxes of modernity within the intersecting discourses of aesthetics, education, economics, ethnicity, nationalism, legality, science, sexuality and urbanization. The MA pathway in the long twentieth century will give you the opportunity to specialise in the literature and culture of modernity. It is taught by world-leading experts who are as passionate about the subject as you are, and is linked to the Southampton Centre for Modern and Contemporary Writing. It will empower you to conduct advanced-level research and independent thinking in theory, history, and criticism; to make effective use of archives, manuscripts, and research libraries; and examine how modern and contemporary writing influences the public understanding of climate change, economics, conflict, medicine, religion, security, and more. Not only will you emerge with an internationally-recognised masters degree from a top Russell Group university, you will also acquire the critical thinking and writing skills that will give you the competitive edge, either as a future scholar or as a professional in areas such as broadcasting, creative writing, secondary school teaching, librarianship, museums and galleries, publishing and roles in the heritage industry. Our pathway in Twentieth Century and Contemporary Literature allows you to specialise in the literary culture and history of the long twentieth century. It is taught by leading experts in the field and has a unique link to the Southampton Centre for Modern and Contemporary Writing . The MA English Literary Studies (Twentieth Century and Contemporary) will enable you to work independently in the field; to explore how genres, authors, and texts participate in wider public discourses concerning race, gender, embodiment, disability, climate change, science, globalization, and sexualities; to examine the interface between literary and visual cultures; and to evaluate unique publications and archival resources specific to the period. It will develop your knowledge and understanding of critical and research methods appropriate to the period; raise your awareness of the historical and critical reception of literature and culture in the long twentieth century; and empower you to explore the nuances of literary meaning in the contested cultural field of twentieth-century public culture. In the first semester, the MA English pathway in Twentieth Century and Contemporary Literature (full time) comprises two core modules – Approaches to the Twentieth Century and Adventures in Literary Research - and two options (some of which can be taken as special subjects). Two further optional modules from the MA Twentieth Century and Contemporary Literature pathway and related modules in other MA programmes are taken in the second semester, along with the dissertation (which is completed at the end of the summer). Differently from the full-time programme, the part-­time MA pathway in twentieth century and contemporary literary studies allows you to study these modules across two years or four semesters. In the first semester of year one, the twentieth-century and contemporary literary studies comprises one core module – Approaches to the Twentieth Century. You may also select a double weighted ‘Approaches’ module that focuses on a particular period in English literary history, or one optional module (including a special subject). Alternatively, you may prefer to take more optional modules (including special subjects) in semester one of your second year. Two further optional modules, including special subjects from the twentieth century or literary topics from other periods and related modules in other MA programmes are taken in the second semester of year one. In year two, you select two or three optional modules in each semester, including special subjects on literary topics and related modules in other MA programmes from a range of modules, along with the dissertation (which is completed at the end of the summer of year two). The MA in English Literary Studies (Part Time) is designed to be a flexible programme, which can be completed alongside other commitments. Where possible, classes for core modules are taught on the same working day. You are strongly encouraged to discuss your module choices and specific areas of interest with the Director of Taught MA Programmes, Professor Stephen Bending, before commencing your programme of study. 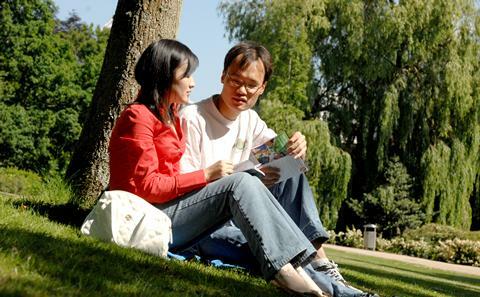 Many of the optional modules below are taught as special subjects, where you will meet in smaller groups with your tutor and develop your own research projects and extended research essays through a mutually agreed programme of reading that is keyed to a cutting-edge area of critical inquiry in English Literary Studies. Literature and Law: This special project examines the interface between literature and law in the following key ways: through the representation of law within literature; the representation of law as literature; the use of literature in law; and laws relating to literature. It will examine a range of literary and legal texts from the nineteenth century to the present. Eighteenth Century Fiction: This special project invites you to explore the place of the novel in eighteenth-century culture, and to assess contemporary critical debates on the subject. While some critics have explored the early contexts of fiction writing in the late seventeenth century, the uncertain position of fiction between truth and lies, and the relationships between novel and romance, others have proffered Marxist re-readings of the traditional canon outlined by Ian Watt in The Rise of the Novel, turned to the vast number of non-canonical texts in order to raise questions of literary value, femininity and sexuality, or focussed upon fiction as a central act of cultural production. Taking a small number of texts central to these debates, this special project offers the opportunity to explore some of the issues raised. Modernisms and Modernities: This special project module aims to provide a cultural history of the dynamic relationship between modernism and modernity in the early twentieth century. It focuses on the political, social, philosophical and technological dimensions of modernity, and the impact that this had on cultural and artistic expression from the Imagists through to Beckett. The course will also introduce you to current debates in modernist studies; indicative topics include the body and technology in modernist literature, the audience and market for modernism, the modernist city, and the importance of interdisciplinary practices in modernist culture. Unknown Jane Austen: Jane Austen is one of the most celebrated English writers today, but was largely unknown in her time. This special project module invites you to explore various facets of this ‘unknown’ Jane Austen by examining Austen’s literary culture, pursuing the tributaries of her imagination and technique, and looking again at some of the texts that mattered most to her, the better to assess the balance of emulation and innovation in her novels. Race and Literature: This special project module traces the conceptual trajectory between social Darwinist theories of race and the post-modern refutation of the ‘illusions of race’ by examining how racialised bodies and identities are represented in a range of literary texts in which they linked to various other social constructs and institutions – including slavery, colonialism, Apartheid, Empire and its legacies. Comte de Gobineau’s theories about the inequality of races will be allowed to be interrogated by the narrative of a female slave, W.E.B. Du Bois’ ground-breaking notion of double consciousness will be placed alongside Bildungsromane from both Harlem and the Caribbean, and ideas related to ethnic hybridity and silencing related to narratives of colonial India and postcolonial Australia. We will discuss the interface between race, culture and religion, and there will be sessions on multiculturalism and the framing of Muslims, migrants and asylum seekers in the recent ‘war on terror’. Victorian Readers and the Politics of Print: Beginning with the frequently proposed shift from intensive to extensive modes of reading in the 18th century, the module will consider the varied effects on Victorian reading communities of compulsory education, secularisation, social migration and new technologies, examine the complex ways in which print and the politics of taste intersected with Marxist and ‘New Woman’ ideals, and consider the very different ways in which British literature circulated in colonial contexts in this period.